New to the vegan lifestyle? Asking yourself, “How do I eat ‘vegan’?” Start Here! It’s easy to follow a healthy, plant-based diet and we can show you how! Looking for inspiration? Read one of the interviews with vegan doctors, vegan entrepreneurs, vegan chefs, and vegan athletes who are making positive changes in this world. Ellen Jaffe Jones, author of Eat Vegan on $4 a Day, shares her ideas to help us be vegan on a budget, and we can catch a glimpse of the vegan lifestyle in other countries with our Vegans Around the World series. Have a question? 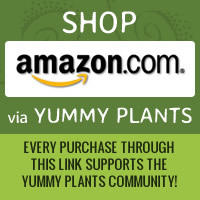 Join the conversation and connect with other members of the Yummy Plants community!